What does the failed Arizona anti-gay bill have in common with the conservative effort to let companies refuse to give employees access to free birth control through their health insurance? As it turns out, a lot. Although one pertains to LGBTQ rights and the other to women's rights, the issues intersect at a very crucial point. And a Supreme Court decision on a case brought by chain Hobby Lobby could set a precedent for undermining gay rights for the sake of "religious reasons." Which is, frankly, terrifying. What's at stake here is much bigger than whether women might have to start paying for birth control pills. What the Supreme Court will really be deciding is whether a corporation has the right to refuse to fulfill a government requirement on religious grounds. And right about now, it's starting to sounds eerily like the quashed Arizona bill, isn't it? Understandably, women's health groups, LGBTQ activists, and anybody who can see the hideous precedent that a Hobby Lobby win could set for the United States, are deeply disturbed. "The case that the Supreme Court is hearing would effectively give corporations a license to discriminate and deny services to people based on the corporate owner's personal religious beliefs," Planned Parenthood's Vice President of Communications Eric Ferrero told Bustle in an interview. "When you start thinking about who's going to be on the wrong end of that discrimination — LGBT people, women, people with HIV are at the top of the list." A favorable Supreme Court ruling for Hobby Lobby could potentially open the door to a whole range of legalized discrimination based on discriminators exercising their "right to religious freedom." "Over the last couple of weeks, the American public got a tiny peek into what this would look like through the Arizona fight," Ferrero told Bustle, adding that what they saw was a "very, very extreme agenda, that would unravel and upend the balances that we have struck in this country for generations." 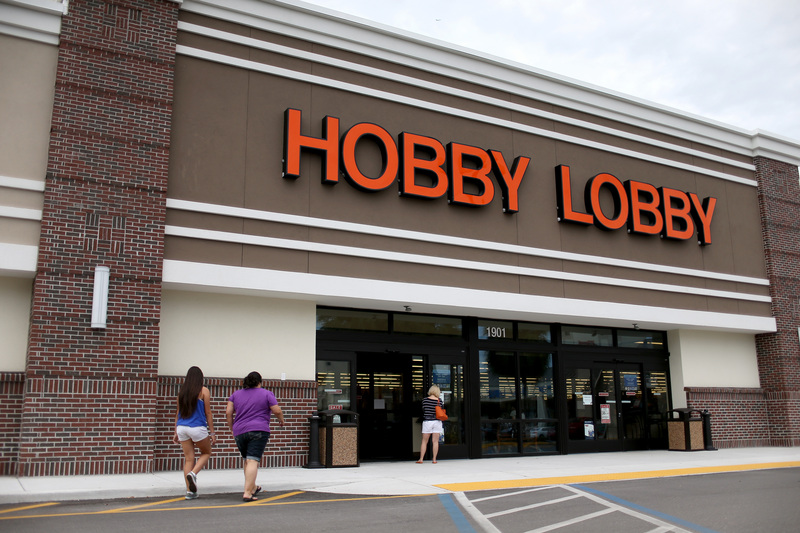 And Hobby Lobby is not just a small mom-and-pop store: It's a huge corporation with 13,000 employees. CEO David Green is said to be worth $5 billion. "It's really dangerous and really disturbing to think about what it would look like if corporations got to pick and choose which regulations to follow," Ferrero said. The conservative groups advocating for such a ruling have been smart to attempt to flip the narrative, so now they're the ones being discriminated against for holding religious beliefs. And that argument may be what give Hobby Lobby even the slightest chance of success, especially when coupled with the less-than-rapturous reception that greeted the Affordable Care Act. Whatever the reasoning, we can't rule out the possibility that the Supreme Court might side with Hobby Lobby. And that could be a firm step back for America.